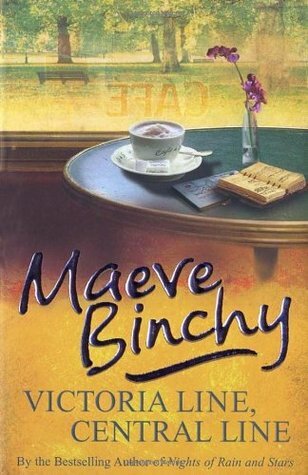 A friend of mine gave me her copy of Maeve Binchy’s Victoria Line, Central Line, and told me that it was a really book by a wonderful author. Fast forward about six months, and here I was ready to read my first Maeve Binchy. I read the first chapter, Tottenham Hale, which I don’t remember really, because chapter 2, Seven Sisters, is quite memorable! I thought it was a change in perspective as many novels these days incorporate— the switch from one story line to another. Seven Sisters begins to tell the story of a couple who are on their way to a swingers’ party, and of course the chapter ends with a bit of a cliffhanger. But I wanted to find out what happens next!! So, on through the next chapter I go. And the next. And the next. So call me a bit thick, but WHAT HAPPENS TO THE SWINGERS??? For real. I am that thick. This entry was posted in Reflection and tagged Shorty Story, Swingers, True Story. Bookmark the permalink. this sounds like quite the tantalizing tale! will definitely have to look into it!